The “15 Minutes of Fame” boys are back in the saddle for another go-round, taking a look at the best and worst from the world of sports in the past seven days! This week, Geoff Driscoll & I are recapping the first round of the NHL playoffs (the biggest surprise, most interesting storyline and the best moment) and UFC 129, while trying to figure out what’s happening in the NFL lockout. In the GABBYs: MLB streaks, NHL celebrations, red cards, NBA upsets & lots more! 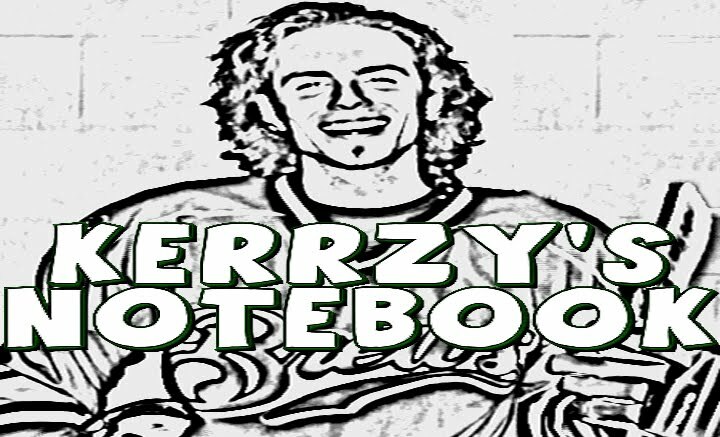 In Quick Hits: Patrick Chan is at the top of the figure skating world, but how good is Kerrzy’s quad?